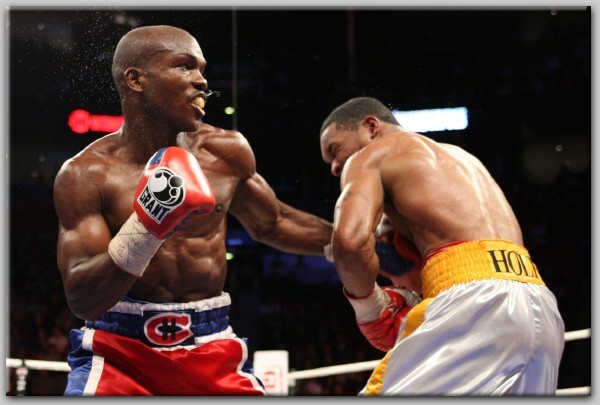 Fists were flying in Montreal as Timothy Bradley and Kendall Holt exchanged fierce blows for 12 electrifying rounds to unify the 140 pound WBC and WBO titles on Saturday evening’s Showtime Championship Boxing. 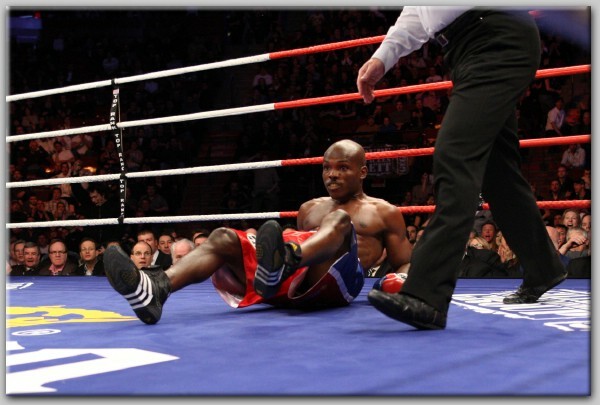 In the end, Bradley won a close unanimous decision with two judges scoring the bout 115-111 and the third 114-112. In the IBF super middleweight title eliminator co-feature, Librado Andrade continually beat Vitali Tsypko to the punch. 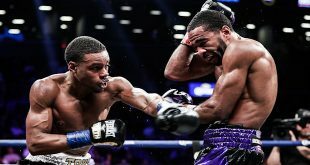 Andrade earned a clear unanimous decision with two judges scoring the bout 117-109 and the third scoring a shutout, 120-106. Bradley of Palm Springs, CA, was knocked down with a vicious left hook in the first round but jumped right back up. Bradley took a knee in order to compose himself and rose again at the count of 8 to continue on. Bradley fought back furiously as the fight progressed. He became the more physical fighter, pushing the action and causing Holt’s corner to yell for him to move forward and take control of the fight. In the 12th round, with less then 20 seconds to go, Holt sent Bradley to the canvas for a second time, but Bradley seemed unfazed and both finished the fight strong. When ring announcer Jimmy Lennon, Jr. announced him as the new 140 pound WBC and WBO champion, Bradley became overwhelmed with emotion and fell to his knees. While Tsypko, 22-3 (12), of Ukraine started off strong, Andrade, 28-2 (21), proved to be the quicker and more composed fighter. Andrade landed a straight right hand to the jaw that dropped Tsypko in the second. Tsypko was able to beat the count, but found himself down again in the seventh after being hit with a solid right uppercut. 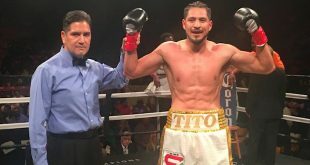 In a scintillating 12th and final round, Andrade of Fontana, CA, and Tsypko kept a quick pace, trading blows back and forth. 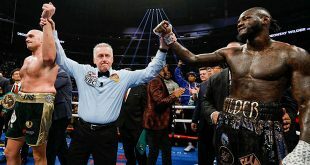 When the final bell rang, Andrade was announced the winner, moving into the number one spot and top contender for the IBF super middleweight title which is currently held by Canadian superstar Lucian Bute. The evening of fights, presented by Gary Shaw Productions, Top Rank, Inc., Thompson Boxing and Gillett Entertainment Group, Inc., emanated from The Bell Centre in Montreal, Canada. 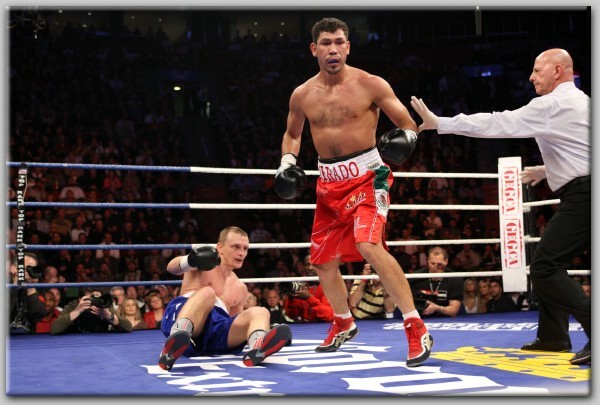 The co-feature was presented in association with Sauerland Events and Golden Boy Promotions. It aired live on Showtime at 10:45 p.m. ET/PT, delayed on the west coast. Showtime Championship Boxing announcers Gus Johnson and Al Bernstein called the action from ringside with Karyn Bryant reporting from ringside. The executive producer of Showtime Sports is David Dinkins Jr., with Ray Smaltz producing with Bob Dunphy directing. The fights will be available On Demand from April 7-May 4.